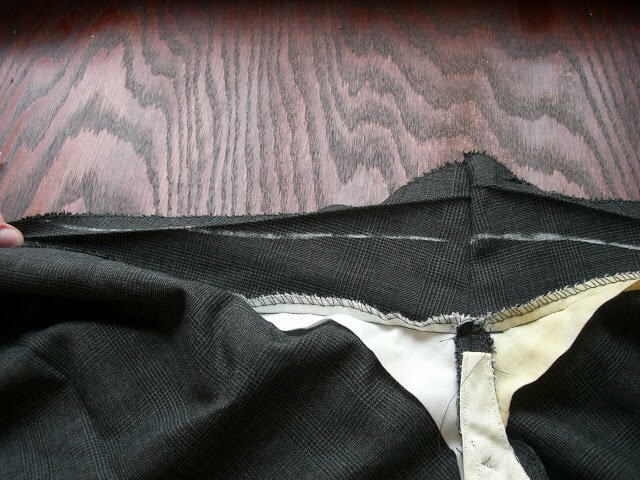 The next part of altering a suit is to change the stride. Here is a better picture of pinning the excess out of the seat. These pants must be old with the style of low crotches because I pinched a HUGE amount out. To measure, measure both sides of the pinch. 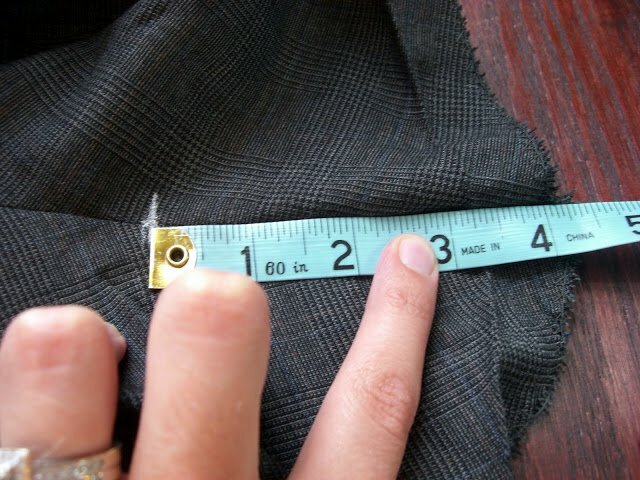 For example if one side of the pinch is 1 1/2″, then the total amount is 3″. Take out the pin. 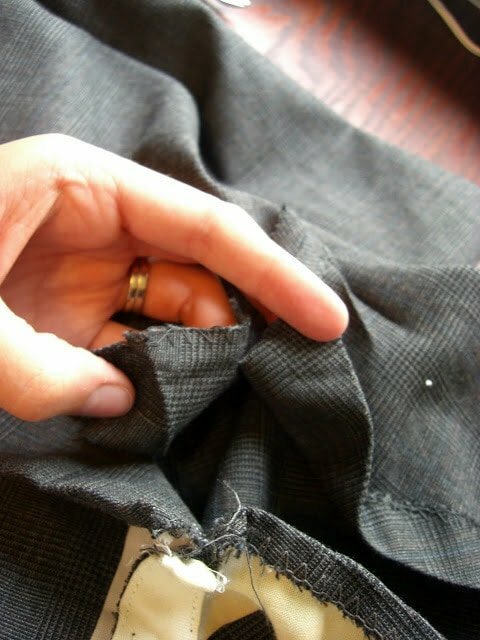 Then turn the pants inside out. 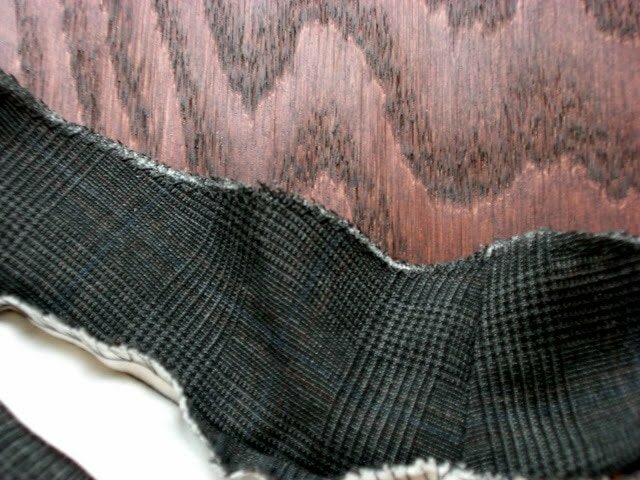 On the inside leg seam mark 6″ above the hem allowance on both legs. (If you look carefully you can see a white mark on the pants on the left. Unpick from one 6″ mark to the other. 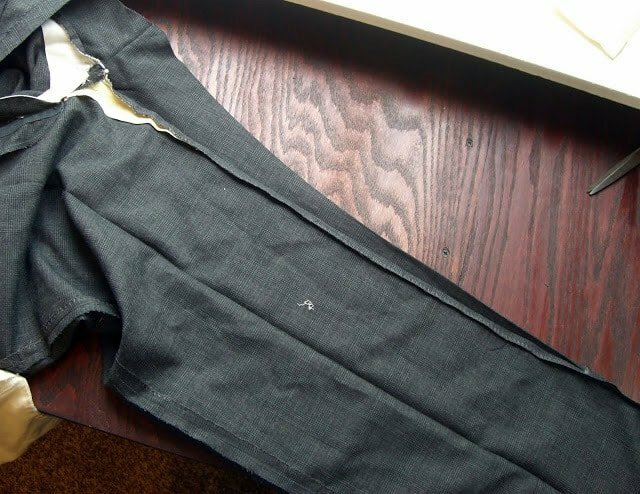 The pants will have a huge gaping hole on the inseam. 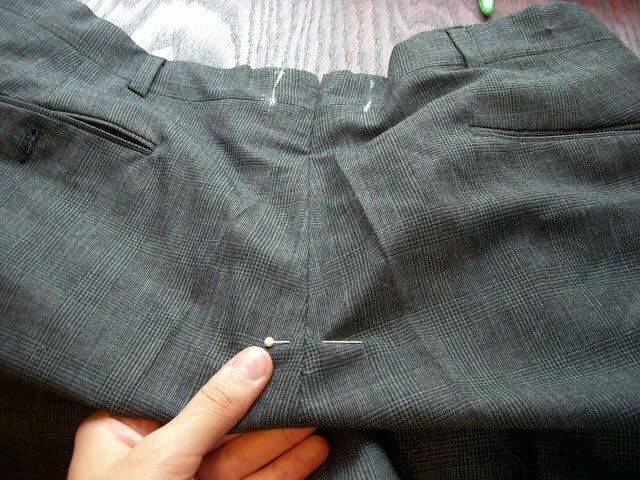 When the inseam is unpicked, because of the way the pants were made, the two crotch seams will be partly unpicked. 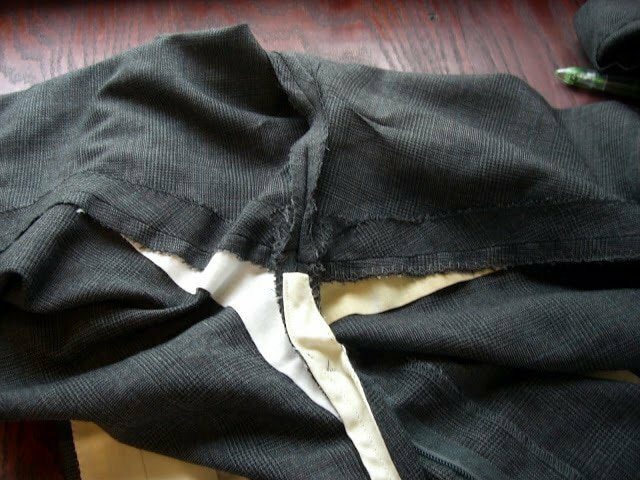 To fix this, sew each seam back together to the edge. Now, remember the total amount from before? Mark that on the back pants piece from the original seam. Pin the front and back piece together, right sides together. Line up the new mark with the original seam line of the front piece. 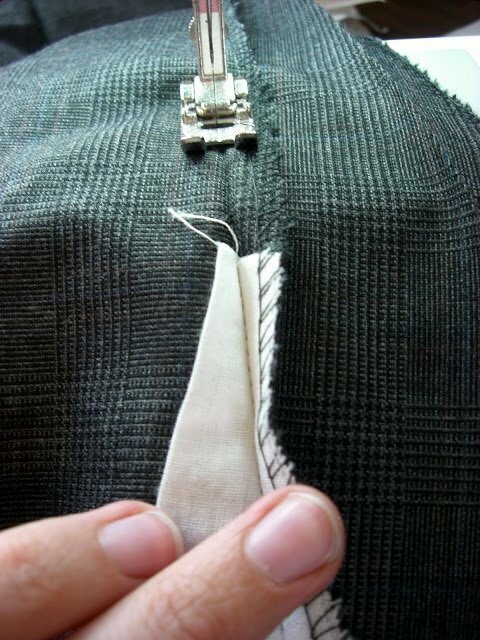 Once that is pinned, stretch the two pieces to fit. Sew along the original seamline of the front piece. 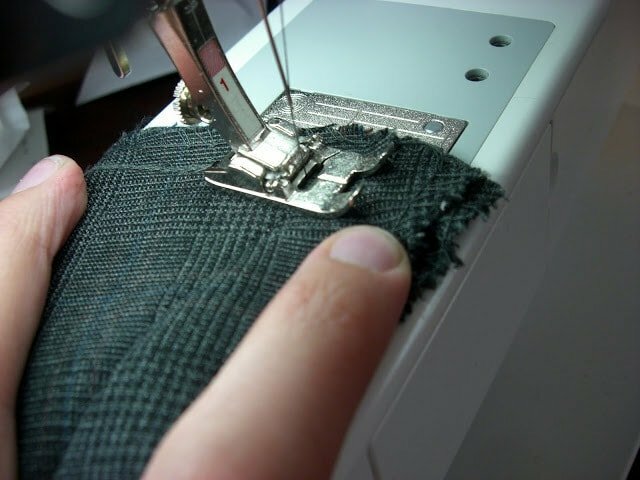 Once sewn, mark enough to trim off. 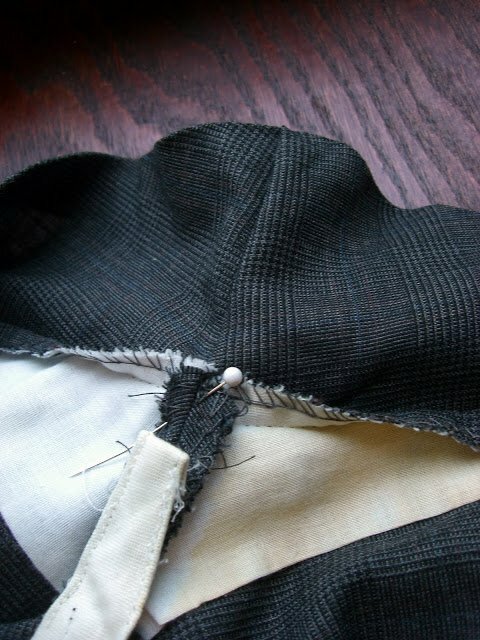 I left about and 1 1/2″ seam allowance in just in case I need to let it out. I zigzagged the edge to finish it. 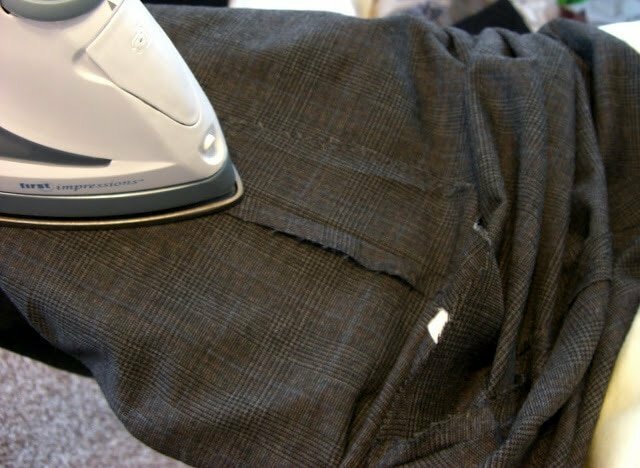 Iron the seam open. You’re finished! This is so helpful! Can I ask further, what if you wanted to make the pant leg skinnier? This looks like a good place to do that. Would you take some out of both the front and back leg or just the back? I'm looking to take in two inches total from the width. I usually only take it from the inseam. I would check for stride since it takes in some of the width from the thigh. Then you can see how much you want to take in on the legs. 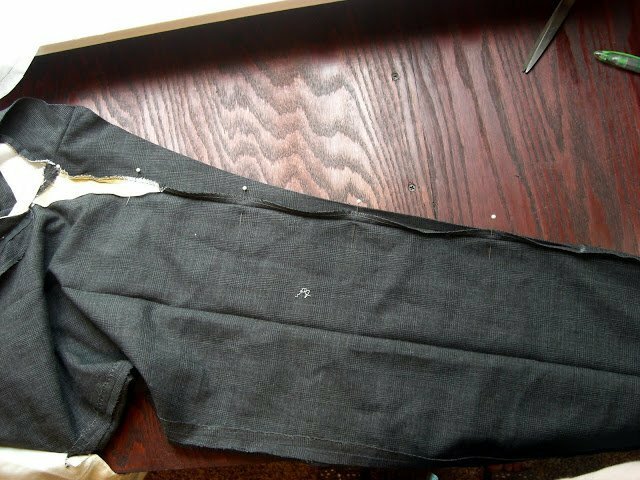 I also take in the full amount at the hem and about 6" from the crotch seam I start tapering out so I take out nothing from the crotch seam and then taper back out to 6" away on the other side of the crotch seam. Does that make sense? This will help me a lot. I live in Africa and the men here really like to wear slacks, but they buy used ones that are 36/34's or worse and want them to be 32/32's, with "slim" or even "skinny" legs. Sometimes they are huge in the leg, especially the stride and back. I do understand your description in your reply, thank you. I have a pair of jeans waiting for me to give this a try! Thank you so much for posting this series! I've found myself looking at what other people are wearing and filing the ideas away…then looking at my clothes and going, hm, how is this made? Could I make this? 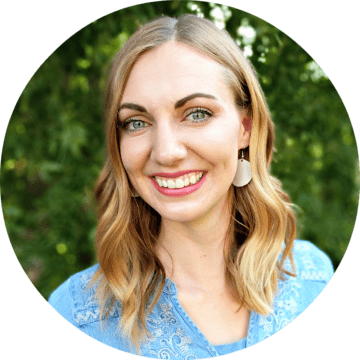 Your tips, even though they are on altering, are very helpful!